For some reason, role-players rarely agree on what constitutes a role-playing video game. I doubt FPS players have this problem, but maybe I'm wrong. When people get into heated discussions over what "is" and what "isn't" an essential element of a computer RPG, everyone always sounds so sure of themselves. Of course statistics are a vital element of RPGs. Of course your decisions have to have consequences for the game world. Of course good role-playing games need to be driven by strong narratives and original characters. Of course player skill should count for 0 and character skill should count for everything. Where does all of this certainty come from? Beats me. As far as I can tell, there's no "scientific" definition of an RPG, just as there's no absolute way to define what is or isn't art. We all have different reasons for playing, different experiences, and different observations. But we have to have some sort of common ground or we can't really be sure that we're talking about the same things. It might be easiest to find this common ground by starting at the end: what the heck is the goal of playing a role-playing game? I don't think too many people will argue (though inevitably some will) that most people playing a RPG want to immerse themselves in another life. They want to step out of their current life and enjoy the view from a different perspective. And they don't want to do this once for a few minutes in a daydream, but over an extended period of time using a consistent viewpoint that they can develop. Role-players don't want to "pretend" in a light-hearted way, the way kids do when they're playing cops and robbers. They want to pretend in a more serious, adult way by imposing some sort of rules on themselves, they want to adopt a clearly defined role. They want to be someone else. Our core commonality for defining RPGs then is a complex mental structure: a role defined by a set of rules. Without the rules, the pretending is arbitrary and loses force and consequence since "anything could happen". Without the roles, the rules are pointless. All RPGs require both rules and roles. 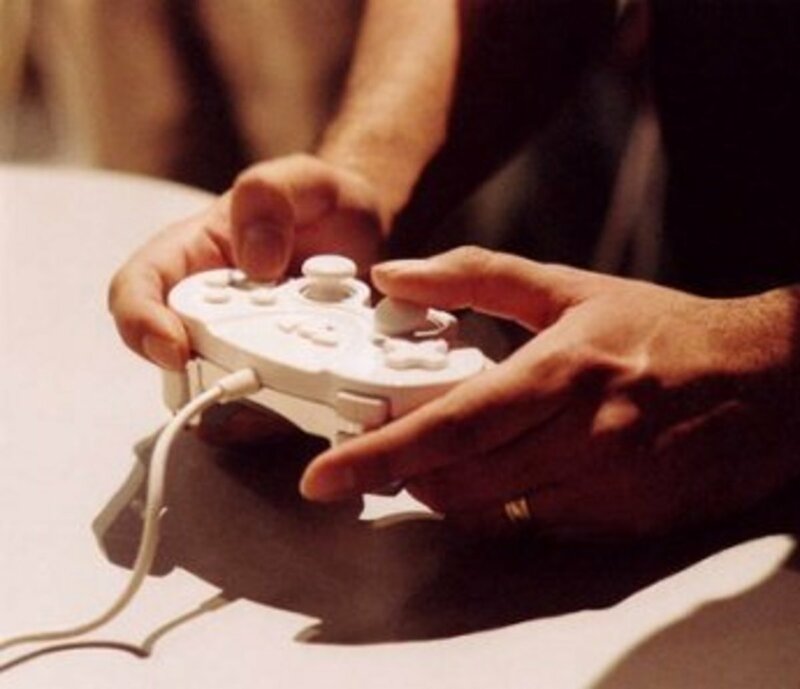 It is only natural, of course, owing to the differences between people, that some gamers should place a higher emphasis on rules and others on roles. For one type of gamer, rules are paramount: if the rules aren't rich and balanced, there is nothing to hang a role-playing experience on. For these gamers, RPGs that are light on rules and leave much up to the imagination of the player feel flat and lifeless. Without classes, all of their characters blend into a generic adventurer class who acts as a sort of everyman. Without racial modifiers, choosing a race becomes a cosmetic choice with no lasting impact. Without strict faction memberships, guild quests become senseless and arbitrary. This doesn't happen because the players lack imagination, but because they know that there is nothing to prevent them from acting out of character. There is no consequence for their choices, nothing to press up against, no hard surface to fall on if they decide to jump off a role-playing cliff. The role loses solidity in the formlessness of the void. We'll call these rule gamers. For the other type of gamer, we have the opposite problem: if a game imposes too many arbitrary rules, the player feels hemmed in. If they can't choose a role that they find desirable, the game is not worth the candle. Roles should be defined by decisions, not by rules. These gamers don't resent having rules--they appreciate them as much as the rule gamers--but they do resent having rules that prevent them from making reasonable choices. Why shouldn't they be able to play a mage who wears heavy armor, a sickly Orc healer, a listless wanderer who tries out different occupations and factions in an intensely private search for meaning and purpose? If the rules are too heavy-handed, the role loses its appeal in the sterile conformity of strict archetypes that promote balance at the expense of choice. When two role-players get into an argument then, both people are usually right, but about different things. On the one hand, the rule gamer is right: if you don't have rules and statistics, if you don't have attributes, classes, racial modifiers, and skill requirements, your role is undefined. That isn't role-playing, that's pretending the way kids pretend. There's no hard limit to push up against, no consequences for your decisions, no meaning to any of your actions. You might as well not play the game at all and just sit in the dark pretending your way through every conflict. On the other hand, the role gamer is also right: if the rules prevent you from playing a desirable role, what's the point of playing? If there are too many arbitrary rules restricting your freedom of choice you're not really playing a role, you're just following a script. It might be a good action game, or a good strategy game, but it's not really a role-playing game if you can't make basic decisions about things like your character's skill development, what kind of armor they wear, or whether or not Absalem the melancholy Elf can reject his racial heritage and live in the cities as a drunk pimp with an Orc girlfriend and a gambling addiction. 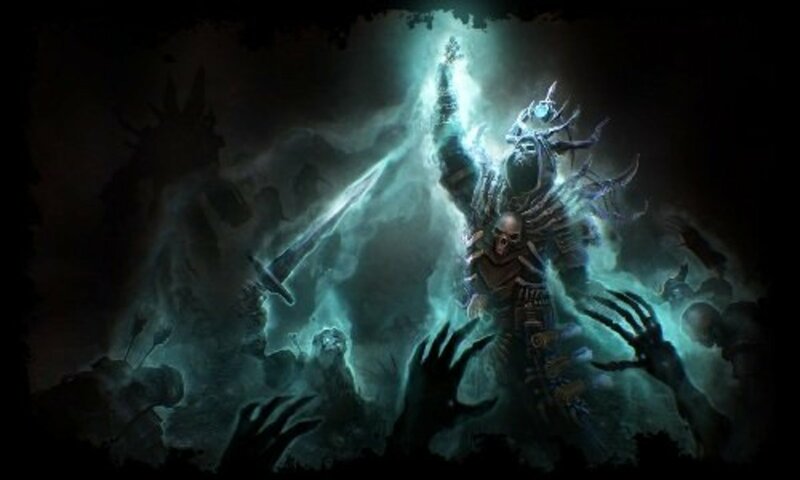 When developers design a role-playing game they are faced with a very serious design challenge: they have to decide how many rules to include and how much freedom to give the player. There's no way to make a game that appeals perfectly to everyone: every gamer prefers slightly different rules and has slightly different interpretations of freedom; but sometimes the rules that developers impose stomp all over the goals that role gamers want to pursue and sometimes the developers leave too much up to the player and the rule gamers feel like they've been left high and dry. Is there a solution to this problem, or are the forums doomed to perpetuate an endless series of debates over whether or not a particular game is really a role-playing game? Let's examine this concept a little more carefully by looking at a subject near and dear to the hearts of anyone who's argued about the RP aspects of Skyrim: the lockpicking mini-game. The lockpicking mini-game makes Skyrim less of an RPG because it allows the player's actions to override the character's ability. In other words, it allows players to circumvent the rules that define the character, thus removing the game from the realm of RPGs. The game has become, horror of horrors, an action game. 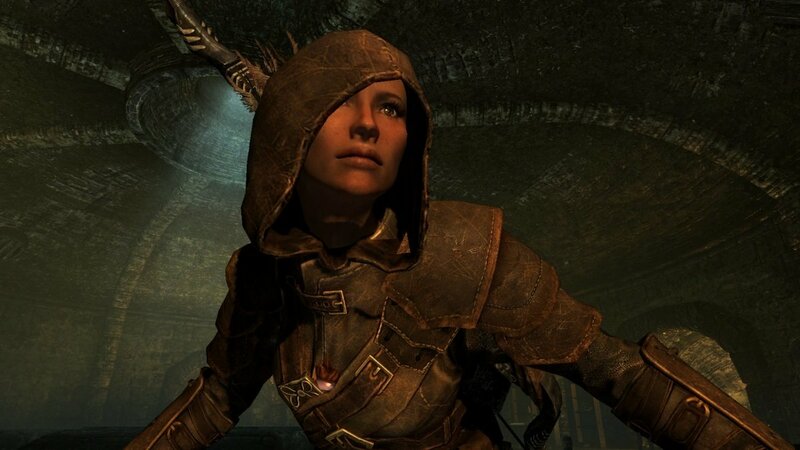 Now, let's look at it from the role gamer's perspective: The lockpicking mini-game makes Skyrim more of an RPG because it allows the player to participate in the role of his or her character in a sensory way. In other words, it serves as an aid to immersion, in much the same way that voice acted dialogue, detailed descriptions, maps and miniatures serve as aids in table-top RPGs. So, the question is: Is the lockpicking mini-game a RP element or isn't it? If you're strongly oriented toward one perspective or the other, you've probably already made your decision, but hear me out anyway. Why are RPGs rule-based? What purpose do the rules serve? They restrict your actions as a player to what the character can reasonably be expected to do. They define the character's limits. By restricting the character, they improve focus: your character becomes more real by being bound by realistic limitations. You focus more intently on the character's experience at the expense of your own experience. They draw your attention to what the character is doing, they help you to maintain focus on your character's environment and make it 'more real'. So both rules and sensory elements serve the purpose of creating focus. In the first case, by making your character more real. In the second, by making the world, or your participation in the character's experience, more real. The difference is sort of like the difference between 3rd person perspective and 1st person perspective. In 3rd person, you can see your character from various angles. The character becomes real through the information you're receiving through your senses about the character. Your character's skills and abilities provide you with these various perspectives from which to view him and gauge his progress. In 1st person, the character becomes less real, but your participation in the world becomes more real. You identify with the character by becoming a part of the action. By acting out the player's choices, you manipulate the world directly. The difference then, between rule-gamers and role-gamers is that one wants to control their character the way a novelist controls her characters in a story: omnisciently, from a distance, turning the character into a work of art. The other wants to embody the character the way an actor embodies a character in a movie: intimately, without distance, using the character as a vehicle of expression. Obviously any role-player worth his or her salt is going to dip in and out of both perspectives, but it should come as no surprise that some people are going to be more strongly attracted to one pole of the experience or the other and that all players will exhibit varying degrees of extremity. Back to our discussion of the mini-game. For the rule-gamer, it seems impossible that their character should be able to open a lock without the requisite skill and the mini-game obviates the need for this skill by being too easy. It deteriorates their feeling of immersion by removing a boundary, a rule which is used to create focus. If any character can succeed at the mini-game, regardless of their skill, it trivializes the choices they have made for their character. For the role-gamer, by contrast, it seems not only possible that their character should be able to attempt any lock, but more realistic that it shouldn't be known beforehand whether or not the lock is too difficult but discovered through the attempt. Knowing beforehand that a lock is 'too difficult' for their character deteriorates their feeling of immersion by removing a choice and distancing them from their character, and for these players choice and intimacy are the very elements of RPGs that makes them worth playing. By acting out the mini-game, they get to participate in the uncertainty and sensory experience of the character. They are 'living' the character instead of 'directing' them. But is one position really 'more' RPG than the other? It's true that rules help to shape and refine the experience, that they help you to be someone else, someone you can't be in real life; but the only reason why the rules exist is to aid the player in experiencing an alternate life. If the mini-game enhances the player's feeling of reality, of really 'being there', isn't that just as important an aspect of role-playing? When it comes right down to it, role-playing games aren't only about being someone else; they are also about being someone else. The best experience is going to be the experience that promotes not only the feeling of newness, of adopting an alien role, but of really experiencing that role first-hand, of living it. The rules direct your focus, but the sensory elements make that focus real. In other words, they are complimentary, not conflicting. When players argue over these kinds of features then, it pays to consider if the problem might not be that the mechanic is too actiony to be included in the genre, but that the implementation might simply be too 'loose', not refined by an adequate system of rules. Conversely, it might be worthwhile to consider whether or not elements that have thus far avoided the fate of being turned into mini-games might not benefit from being so converted. Perhaps a mechanic is too 'rule-bound' to be interesting and could be enlivened through the addition of sensory elements. Certainly, not all elements are capable of being converted and even those that can be won't be malleable to the same degree, but it is worth investigating in each case because sensory immersion is just as important as character focus. Does the addition of forges, skinning racks, wood piles, ore veins, and grindstones add to the immersion and enjoyment of using skills which are otherwise entirely rule-bound? Do the character animations improve the experience and make it 'more real'? The skills will function the same without them, so why force a player to locate one of these objects and interact with it? 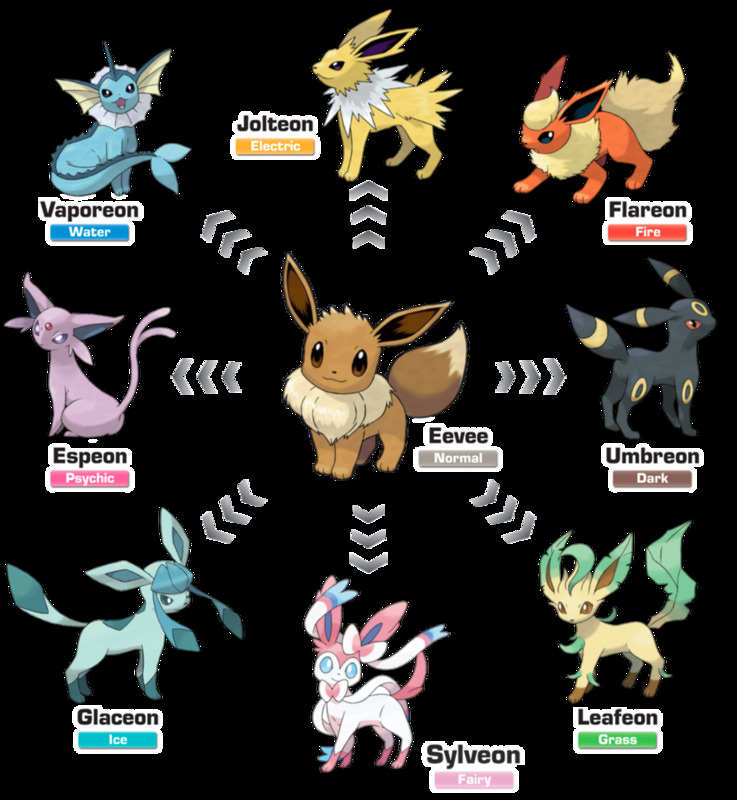 What does it add to the game? Why not simply remove all of these models and animations and leave the entire mechanic in the skill menu as a collection of options? The lockpicking mini-game serves the same function as all of these models and animations, but in Skyrim it also introduces the complication of player subversion. This is a problem, for sure, but the solution isn't to remove the mini-game. The lockpicking mini-game was added for a reason and it's a good reason: building immersion. The solution, rather, is to tighten the implementation of the mini-game so that the pursuit of immersion isn't obtained at the cost of balance and consequence. The lockpicking mini-game needs to grow in sophistication so that it stands alongside real-time combat as a fully realized merger unifying the twin elements of rule and immersion. Rule gamers need to understand that immersion is the succulent fruit at the heart of RPGs. Role gamers need to understand that rules are the nurturing environment in which this fruit grows. They are complimentary: without one, we have no life or color, without the other, no meaning. Fortunately, this isn't Sophie's Choice. Choose both. Thank you my friend i like this games, Good working and good luck more articles. There's a lot of food for debate right here, I don't agree that the mini-game breaks immersion and renders the spec in Lockpicking obsolete. Since we're talking about RPGs though, I just thought to mention I feel like I'm Commander Shepard. Welp. @Anokrah and Barnsey: Good RPGs are hard to design because different people want to get different kinds of experiences out of them. Some people want the developer to supply them with a fully fleshed-out character and a tightly scripted story, others want a very open, free-form experience, others want a neatly balanced game that plays like fantasy chess. They're all RPGs, but they're very different kinds of experiences. I want to have complete control over my character's stats, progression, and appearance, but the cost is limited characterization and unbalanced gameplay: the game has no idea what my character is like and has to work really hard to anticipate my choices and react appropriately. How does the game balance gameplay if I make dumb decisions when building my character? What if I pick a bad combination of skills? A lot of developers pick areas of the game where they will be rigid (story or gameplay, for example) and give players freedom in other areas. Very few games try to give players complete freedom AND anticipate every possibility. 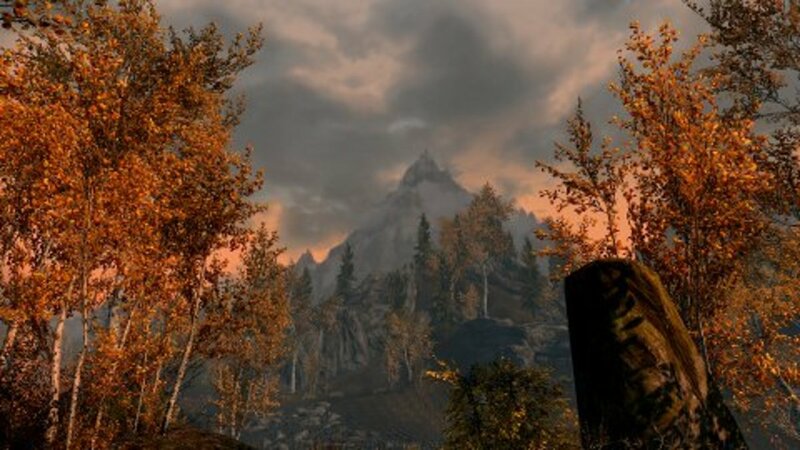 Skyrim is a good example of a game that gives players a lot of freedom, but it does a very poor job anticipating the player's needs and motives, resulting in a lack of depth. It's a bit of a conundrum that I don't think any RPG has really solved completely, though some do a better job than others. I used to DM with a down the middle of the road sort of attitude but was invaded by a group of new players who were rules nazi's,(Forgive my vernacular), and kind of slowed the whole game down to a near standstill with their constant rules concerns. Great Hub! I'm an oddball, I like games like Radiant Mythology and White Knight Chronicles because there is a lot of character customization, but at the same time I get annoyed with them because the main character has limited or no personality whatsoever! What a comprehensive discussion about RPGs. I guess I'm a little bit of both Rules and Roles. I think rules are necessary but I like finding ways around them. Hence my preference in playing rogues. Voting this Up and Interesting.